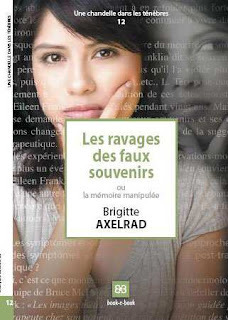 This is the first book, written in French, on false memories "recovered" in therapy. It answers questions you may have about this phenomenon, its causes and its consequences. The ravages of false memories or the manipulated memory. The aim of this book is to answer questions and to teach patients, families, professionals, and lawyers about recovered memory therapies (RMT) and their destructive consequences for all the victims. This book attempts to enlighten the ravages of "false memories recovered in therapy" twenty to thirty years after the alleged offenses, in absence of memory during this period, and with no independent corroboration of their existence. The questions and answers, given in the book, are small candles that illuminate and clear the way towards better understanding of this sociological phenomenon. May it help all those affected by this scourge, which, in France, began in the late 90s and is gaining ground silently.